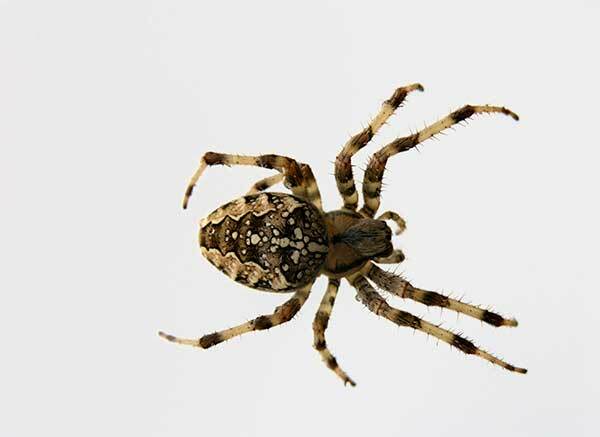 Cross spiders can range from light yellow to orange-brown or dark grey in color. As its name suggests, the cross spider is characterized by a white cross on the back or abdomen. Cross spiders, also known as orb-weaver spiders, build spiral wheel-shaped webs. They are most commonly found in gardens, hedgerows and next to homes with exterior lighting.